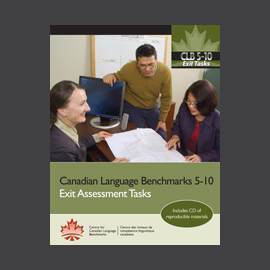 The Canadian Language Benchmarks Placement Test (CLBPT) is a streamlined assessment instrument that is an adaptable, efficient means to place adult learners in ESL programs. It is task-based, assesses four language skills (Reading, Writing, Listening, and Speaking), and is aligned with the Canadian Language Benchmarks levels 1 – 8. There are four parallel versions of the CLBPT. 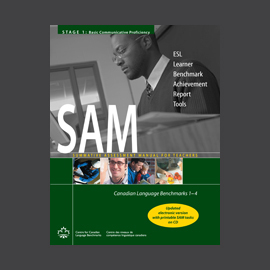 Disclaimer: The Canadian Language Benchmarks Placement Test (CLBPT) is a low-stakes assessment developed for placement into a federally or provincially funded LINC, ESL or other training program that has a language component. 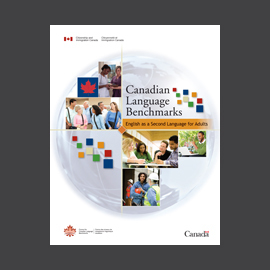 With a margin of error of plus or minus one benchmark, any assessment outside the scope of the tool and the license cannot be endorsed by the Centre for Canadian Language Benchmarks (CCLB). CCLB, licensed CLBPT assessment centres and certified CLBPT language assessors are not liable when results are used for purposes outside the scope of the tool. Currently the CLBPT is available only to assessment centres and to all government-funded adult ESL programs throughout the country which meet the CLBPT policy requirements. In some regions, additional restrictions may apply. Assessors should always follow the National Placement and Progression Guidelines. If a program would like to become licensed to use the CLBPT to place students into the proper ESL level according to the Canadian Language Benchmarks, then the administrator/coordinator of the program has to contact CCLB directly at training@language.ca to apply to become a licensed site. If a program is eligible then CCLB can move forward with the process. Only organizations that would use the test for placement into LINC/ESL programs (or even bridging programs) would qualify to become a CLBPT site. A copy of a contribution agreement, showing that the statement of work includes assessment services and for what purpose. If your site no longer conducts CLBPT assessments, you have to inform CCLB immediately in writing to training@language.ca. Once the CLBPT License cancellation has been made official, you/your site will be responsible to ensure that all CLBPT Kits or lose CLBPT materials are destroyed in a secure manner (i.e. : shredding). However, you will be expected to keep the test results of your clients on site for a period of at least 2 years after they were conducted (see section 4.6 of the CLBPT licensing agreement). CLBPT Kits or any loose CLBPT materials should always be stored securely at the licensed site location. Assessors should not have their own kit or test materials with them unless they are conducting itinerant assessments. If an assessor conducts itinerant assessments, the test materials should be returned to the licensed site as soon as possible as per the license agreement with CCLB. The CLBPT Kits are the property of the assessment centre; if an assessor in your employ should resign, retire, or leave your centre for any other reason, the CLBPT Kit assigned to the individual MUST be returned to the centre. CCLB does not train individuals on the placement tests; it only provides training to approved assessor candidates for licensed sites as it is a placement tool used by licensed assessment providers for publicly funded organizations. In order to be trained as a CLBPT assessor, CCLB must receive a request from a licensed organization for you to complete the training. The assessment centre contact person should always be the designated administrator/coordinator. Sessions are set on an as requested basis. If a licensed site requests a training, then CCLB will work with the site to set up a session including costs. Training is a 1 day session followed by a 3 month certification period that requires the candidate to conduct real assessments and submit 3 to the trainer for certification. Would you be interested in becoming a CLBPT Trainer? CCLB is always looking to add engaging trainers to our consultant team to conduct occasional training session(s) in their province or region on the Canadian Language Benchmarks Placement Test (CLBPT). Reporting to CCLB, the successful candidates will be responsible for training qualified assessor candidates to administer the CLBPT test in compliance with established CCLB assessment policies. Trainers will train and certify eligible assessors, manage expenses in keeping with allowable training program expenses, submit training and certification reports as required by CCLB and other duties as required. Working with the support of CCLB staff, training and certification will be conducted as needs arise. Selected applicants will be required to prepare for and attend a CLBPT training session prior to session delivery. *Note: Depending on regional needs, trainers may deliver one or more workshops in their region/province, and or other provinces as needed. Remote assessment provides a viable alternative to face-to-face administrations in locations without an assessment centre as well as remote locations. They also speed up the assessment process while reducing the dependence on itinerant assessors. The assessment is suitable for clients with at least basic computer skills. The Reading test requires use of a mouse to click the correct answers. The written test requires keyboarding skills. The Listening-Speaking assessment does not require any computer skills. Proctor sites and proctors help to support the administration of remote assessment. As indicated by one of our assessment sites, “We see first hand the benefits remote assessment brings to our clients and appreciate the combined power of technology and collaboration when both are working together.” Remote assessment has resulted in clients who live in areas without an assessment centre having the opportunity to access assessment and placement into a language program much quicker than if they had to wait for an itinerant assessment. please contact the licensed site below closest to your location. An online, self-directed training for the new Literacy Placement Test (LPT) and Batterie de tests de classement pour adultes moins alphabétisés (BTC-AMA) is now available via fee-for-service. This new test, funded by Immigration, Refugees and Citizenship Canada (IRCC) combines tasks from the Literacy Placement Tools Volume 1 and Volume 2 and Outil de classement en alphabetisation (OCA) with newly developed content to better align to the descriptors in the CLB: ESL for ALL/NCLC : FLS pour AMA documents. The revised placement tests facilitate the ability for CLBPT and BTC assessors to effectively and efficiently identify literacy levels for Foundation/Niveau Exploratoire L up to and including CLB/NCLC 4L, ensuring the placement of ESL/FSL learners into appropriate language and other training programs. It also includes a first language screener task has been developed and translated into 39 languages. For more information about access to the online training and administration files, please click here. Workplace Language Assessment (WLA) – based on the Canadian Language Benchmarks. The WLA provides a communicative assessment of language proficiency for internationally-educated newcomers whose first language is not English. It is designed for placement of candidates into bridge to employment programs where the national standard (CLB 7 – 10) is used to help determine eligibility. The WLA may also be used for higher-level language training programs which have, as their focus, preparing newcomers for the Canadian workforce. In 2009, the Provinces of Alberta and British Columbia supported the launch of the WLA in their respective provinces. Who can use the WLA tool? an equivalency determined by CCLB. CCLB endeavours to offer cost-efficient training sessions to assessors in each region. Training requests for WLA assessor training are handled on a case-by-case basis. The cost of training will be determined by the number of trainees attending the session, the location of the session, and the availability of a WLA regional trainer. If you would like to get your name on the waiting list for training and to find out if your organization qualifies to become a WLA licensed site, please contact training@language.ca. Please see Citizenship and Immigration Canada’s new National Placement and Progression Guidelines for more details. How do I become a CLBPT assessor? You can only be trained as a CLBPT assessor if you already work for a licensed CLBPT site. The administrator of the site will contact CCLB on your behalf and request training. Once you are approved for training, we will organize the session with your administrator. What are the guidelines for storing clients’ test results? Following the guidelines found in the licensing agreement your site has with CCLB, your organization must keep physical copies of a client’s test result for a period of two (2) years in the most secure way possible. Electronic copies of the test results should be kept indefinitely. Assessors find descriptors such as “adequate” “good” and “very good” vague especially when trying to determine between 2 levels (e.g., whether a client is 3 or 4). If a test taker has achieved 70% of the requirements in a writing band for a given task, does this mean they have achieved that level? Following the National Language Placement and Progression Guidelines: As a general rule, the benchmarks assigned to a learner at the time of placement assessment, summative in-class assessment, or high-stakes language test, mean that the learner has achieved, and demonstrated the level of communicative ability associated with most or all (traditionally, 70 to 100%) of the descriptors for the benchmarks assigned in each of the four skills. A learner who has been assigned a given benchmark is said to have completed that benchmark for the given language skill. If the writing of a test taker is illegible, what should I do? If you can’t read your client’s writing, then you cannot give a score; but we would advise to consider whether the client has literacy needs. Make notes/comments in the “comment” section of the Assessment Report. Our ESL program already uses our own placement tests. Why do we need this new assessment instrument? 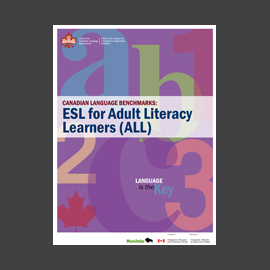 Most adult English as a Second Language (ESL) programs in Canada are using the Canadian Language Benchmarks (CLB) to guide instruction and assist in monitoring learners’ progress. This placement test supports their efforts by providing them with a cost-efficient and time-saving standardized placement test. 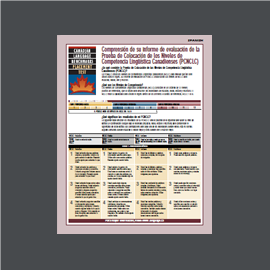 It provides teachers with information about language proficiency levels for each of the four language skills: speaking, listening, reading and writing, as new learners enter the program. The CLBPT has also been validated to the CLBA scores. What exactly is a “streamlined test”? Streamlined refers to the fact that this new placement test requires a maximum of one hour and twenty minutes. This allows programs and assessment centers to assess a number of clients in the same time period. The CLBPT test is also easy to administer as all clients attempt the same set of tasks and involves minimal time to score the reading and writing tests. Administration of this test is streamlined too, and requires only an audio cassette or audio compact disk player for the listening and speaking test. What skills does the CLBPT assess? The new streamlined test can assess an ESL learner’s language proficiency in four skills: listening, speaking, reading and writing. It has been developed to reflect the CLB and recognizes a distinction between listening and speaking. Is it necessary to use all parts of the CLBPT? The CLBPT can be adapted for different program needs. Learners with an interest in a writing course which has a writing benchmark 5 as a prerequisite, for example, may need to complete only the writing section of the CLBPT. What are the benefits to teachers of using the CLBPT? The results provided by the CLBPT can help teachers understand the language proficiency of the individuals in the class, and of the class as a whole. 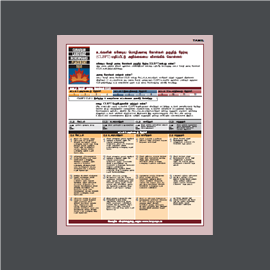 Using this information, the instructor can select appropriate materials and activities to target learners’ specific skills needs. Early information about the language proficiency levels of the learners will help the teacher to monitor language learning. How can ESL learners benefit from taking the CLBPT? Learners will arrive in class with a better understanding of their language proficiencies and of their relative strengths and areas of difficulty. This information will help them to set their own goals for learning English, whether for personal, educational or employment purposes. As well, the consistent results provided by the test allow learners who must move from one program to another or to another part of the country shortly after the CLBPT assessment, to avoid reassessment. How long does it take for an ESL learner to complete the CLBPT? Someone who completes all three parts of the test in the maximum allowable time will require about one hour and twenty minutes. How long does the CLBPT take to administer? The listening and speaking test requires a maximum time of twenty minutes to administer in a one-on-one format. Both the reading and writing tests require a maximum time of thirty minutes each to complete, but group administration is an option. Who will administer the CLBPT? The CLBPT must be administered by assessors who have successfully completed a one-day training session. Training sessions are held in all regions of Canada. Please contact training@language.ca for more information on scheduled or upcoming CLBPT training sessions. Is there a required sequence to this test? The test administration can be adapted to a program’s needs. It is recommended that the Speaking and Listening be administered first and then moving on with the Reading and Writing; if literacy needs are identified during the first S/L portion of the test, the assessor can transition smoothly with the LPT instead of continuing with the CLBPT. Reading and writing may be administered in groups before or after the listening and speaking which requires one-on-one administration procedure. Is it a timed test? The reading and writing tests require a maximum time of 30 minutes each to complete. Listening and speaking follows an adaptive procedure that requires from five minutes to 20 minutes depending upon the learner’s proficiency. Many of the tasks in this section are based on an audio compact disk so there is little variation in the time needed by learners who complete the listening and speaking section. Is this test suitable for ESL literacy learners? One advantage to administering the CLBPT listening and speaking tasks first is that a number of the tasks in this section have been designed to elicit information which might signal a need for some literacy support. If this occurs, the assessors have the option of stopping the assessment as the test is not designed for ESL literacy learners. Our program combines centralized assessment and site-based assessment. Can the CLBPT be used for both models? Yes, the CLBPT can be used in both settings, but it is important to adhere to a set of Conditions of Administration and to the administration and scoring procedures designed for this test. Programs will have to consider the realities of the space and time available where on-site assessments are conducted. Some possibilities might include an assessor using time before or after class or an itinerant assessor scheduling regular site visits to conduct the listening and speaking test. Reading and writing can be assessed in a classroom setting provided the client or group is monitored and the permitted time is adhered to. Is the CLBPT suitable for placement into both intensive and skill-focused ESL classes? Yes, the CLBPT is an adaptable instrument that can be used for both types of classes. The decision as to which skills to assess for placement is left up to the program and will likely be based upon the time and resources available. If your program offers many skill-focused courses, the CLBPT can significantly cut down on assessment time while providing accurate, consistent results. For example, a learner whose goal is to enter an intermediate-level communication class may require only the 15 minute listening and speaking assessment to determine whether his proficiency meets the prerequisite benchmarks. What is required of programs that use the CLBPT? the CLBPT can be used only for its intended purpose as a placement test and cannot be changed in any way. Can the CLBPT be used in outreach ESL programs? The CLBPT has particular advantages for teachers and learners in outreach classes where many levels of proficiency may be found in one group. The information made available by this test will help the teacher to select materials and focus instruction to the learners’ CLB proficiency levels. The learners individually and the class as a group will benefit from a more targeted approach to teaching and ongoing evaluation. If time and space are difficult to arrange, assessments could be arranged before or after-class time or an itinerant assessor could schedule visits to the outreach sites. Why is training required to administer the test? Training is essential to ensure that the CLBPT provides consistent and reliable results to teachers and their adult learners. This consistency can only be achieved when trained ESL professionals follow detailed procedures for administering and scoring the test. The one-day training session provides assessors with a complete orientation to the test, familiarization with its materials and opportunities to sharpen their skills to ensure consistent scoring. Assessors will be asked to bring their own set of training materials to use during the training session. Following each session, the CCLB will issue certification to CLBPT assessors and provide them with ongoing support to respond to any questions or concerns which may arise as they use the CLBPT in their programs. How much does the CLBPT cost? The complete purchase price for the CLBPT Starter Kit is $1000. This price includes the CLBPT assessment kit, one set of training materials, and the site license. The kit includes four parallel versions of the CLBPT and includes the following: assessment guides; audio CDs; laminated photostories; listening and speaking scripts; hard copies and electronic PDF file copies of each of the CLBPT reading test, writing test, and listening and speaking tests and client forms on which to record the results of the tests. 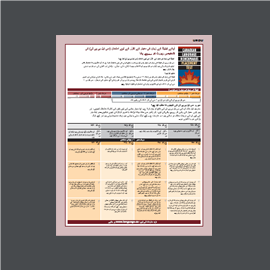 The training materials include both a comprehensive manual and a training video. Is the CLBPT available to all adult ESL programs in Canada? No, at the present time, the CLBPT is only available to centres that are responsible for assessment and to government-funded language training programs throughout the country. In some regions, additional restrictions may apply. Can I order a replacement for an item in my CLBPT kit? 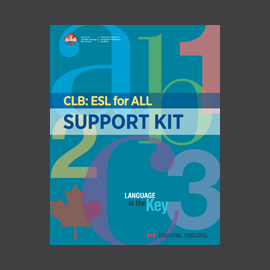 Yes, if you have a CLBPT Starter Kit and require a replacement for a test component, simply save our CLBPT Material Order Form, fill in the appropriate information and email it to training@language.ca.